3 in 1 paper knife, envelope opener & staple remover. Complete plastic body with stainless steel tip. Segmented blade (hard & coated) and protection cap. Suitable for No.10,24/6,26/6 and B8. 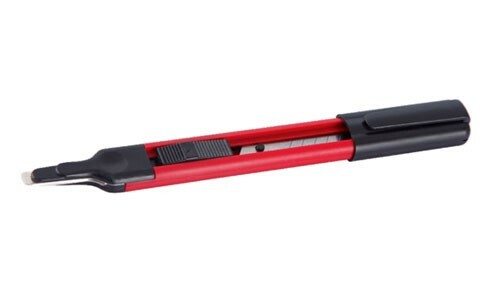 The base length of this staple remover is 173mm.